In a skillet heat the olive oil and toast the bread dumplings on both sides until crispy. Remove from skillet and sprinkle with garlic salt on both sides. Fry each egg until your desired yolk consistency. Top each dumpling with a fried egg, some of the marinara and a sprinkle of Italian seasoning! 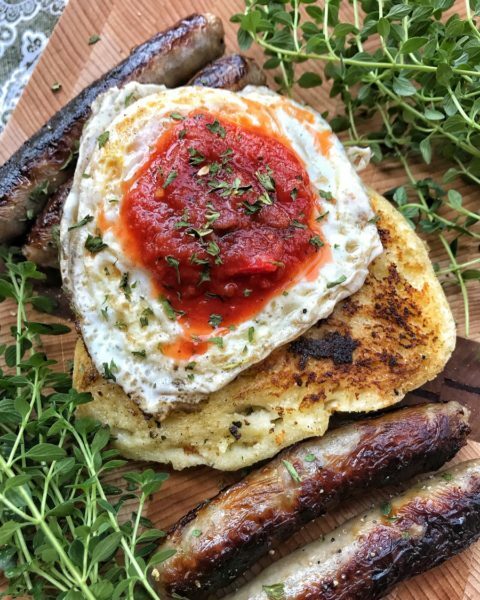 Serve with your favorite breakfast meats!